One of the Inner Hebrides, Tiree is twenty-two miles west of the nearest point on the Scottish mainland, Ardnamurchan. The island is at the same latitude as southern Alaska and the same longitude as the border between Spain and Portugal. Britain’s twentieth largest island, it is just over ten miles at its longest, five miles at its widest, and a little over half a mile at its narrowest. A walk of forty six miles would take you around its coastline, much of it along white beaches of shell sand. 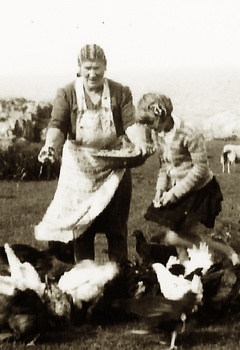 Tiree is divided into 286 crofts and five farms although there are today probably fewer than a hundred active crofters. The land is split into thirty one crofting townships, each controlled by a grazing committee. It is the most fertile of the Hebrides. After agriculture, the main industries are tourism, fishing, and the service sector. The weather dominates life on Tiree in a way it often fails to do on the mainland. Weather reports from the island are familiar to listeners to the BBC’s Shipping Forecast and Reports from Coastal Stations. Like the rest of Scotland’s west coast, the island is bathed by the warm Gulf Stream. The surrounding seas keep the island’s climate mild in winter and cool in summer. Sea temperatures are at their lowest in March, and at their highest in September. The prevailing south-westerly winds bring a succession of weather systems from the Atlantic. The lack of shelter and its numerous beaches make the island a magnet for windsurfers. There are gales here on average thirty four days a year. Known as the ‘sunshine isle’, Tiree has a deserved reputation for bright early summers. A report in 1927 stated that the island "enjoys during the months of April, May and June as much sunshine as any part of the British Isles". The Tiree meteorological station was set up in 1926 in a corner of Cornaig schoolyard with headmaster DO MacLean reporting weather observations three times a day. The instruments were moved in 1935 to a purpose-built enclosure which can still be seen to the north-west of the school. During the war years, the RAF took over the running of the station, moving it to Crossapol, and 518 Squadron flew twice-daily weather reconnaisance trips 800 miles out into the Atlantic. The new weather station at the airport was built in 1995 and became automatic in July 2000. Tiree’s famous white beaches are made of crushed shells. This blows inland to form the basis of the fertile machair, flower-rich grassland. This tends to dry out and become ‘burnt’ in the summer. Roughly speaking, Tiree has an outer ring of machair, a middle section of dark, rich, cultivatable earth, and a centre of wet, peaty ground called sliabh (pronounced slieve). 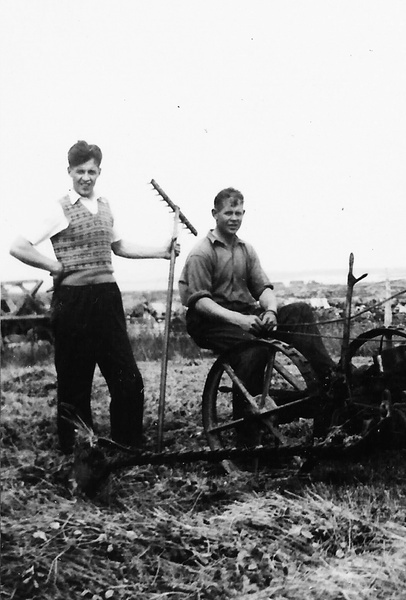 Most crofting townships are divided so as to have a ‘slice’ of each type of ground. The hill grazing and sliabh which keep their moisture are for summer grazing, the field land is cropped and the machair provides grazing at the wetter times of the year. 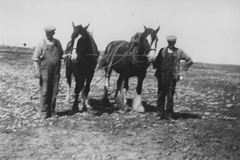 There are many examples of early settlement on the island. Over twenty fortresses from the Iron Age survive on Tiree. Most of these stand on inaccessible crags and are visible from each other. Warning of attack may have been passed from one to the other. The best examples of forts on the island can be seen at Dùn na Cleite (fort of the pointed hill) at the end of Happy Valley and at Dùn Shiadair (fort of the shieling) in West Hynish. There are two brochs, the skyscrapers of the Iron Age, on Tiree. Dùn Mòr Bhalla (the big fort of Vaul) is the only pre-historic structure on Tiree that has been properly excavated. The other broch, Dùn Mòr a’ Chaolais (the big fort of Caolas), stands on the hill above Milton harbour. The Roman occupation of northern Britain had a stabilising effect on the tribes of Scotland who united against a common enemy. With the Romans’ withdrawal around 400 AD, local warlords sprang up, splitting the political map. Into this turbulent world sailed Columba and his twelve companions, who settled on Iona in 563. Soon afterwards, he founded a daughter monastery on Tiree. This is usually thought to have been at the site of the graveyard at Soroby but is equally likely to have been around the old chapels at Kirkapol. The final years of the eighth century saw the first raids by the Vikings from southern Norway on the Hebrides. Some Vikings then began to over-winter in the Hebrides. Two graves, said to be from the Viking period and neither properly excavated, have been found on the island. One containing a tortoise-shell brooch and bronze pin was exhibited in Edinburgh in 1872. During this period a Gaelic speaking native population survived alongside the new settlers. A new line of half Gael, half Norse mercenary warriors - the Gall-Gaedhil - developed in the Hebrides and many leaders mentioned in this period have one parent from either group. The five centuries after 1000 were a time of further turbulence in the Hebrides, which became the battleground between the Kings of Norway, the Isle of Man, local warlords and later the Scottish Crown. In the 1715 uprising the Duke of Argyll was the leader of the government side which defeated the Earl of Mar’s army at Sherriffmuir. The next year 358 Tiree men were disarmed over two days in Scarinish by the Duke’s representative, the overwhelming majority of them Jacobite rebels fighting against the government and, therefore, against the Duke himself. In the 1745 uprising matters had changed little on the island. After Bonny Prince Charlie was defeated at Culloden, thirty government soldiers were sent to Tiree. Their leader was commanded "to apprehend some of the leading rebels and drive their cattle, nay I should be glad if he would even burn some of their houses". 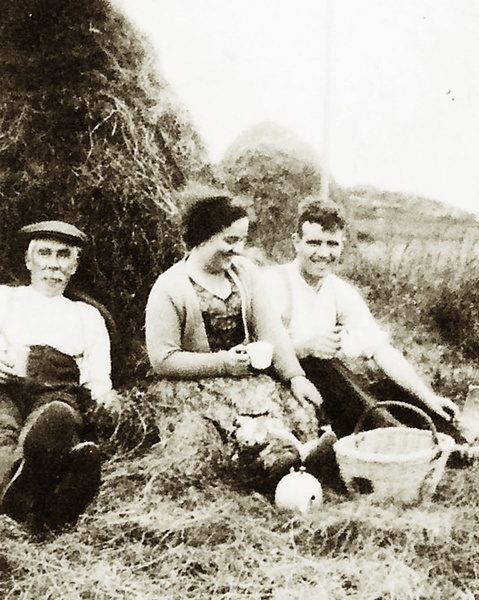 The population of Tiree built up to a peak of almost 4,500 in the 1830s. 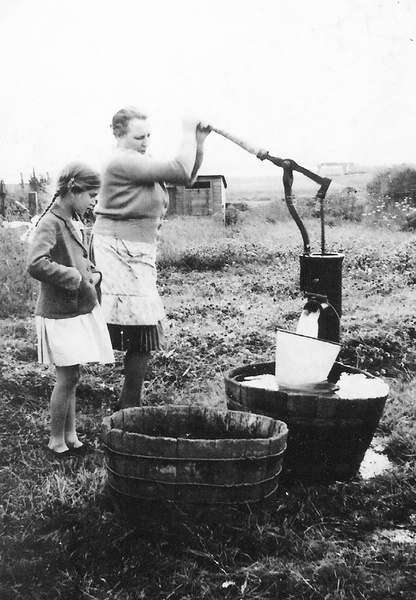 This was due to more efficient agriculture, especially the use of the new wonder crop, the potato, and the kelp industry. Kelp, a general name for long-stemmed brown seaweeds, surrounds Tiree in enormous quantities. 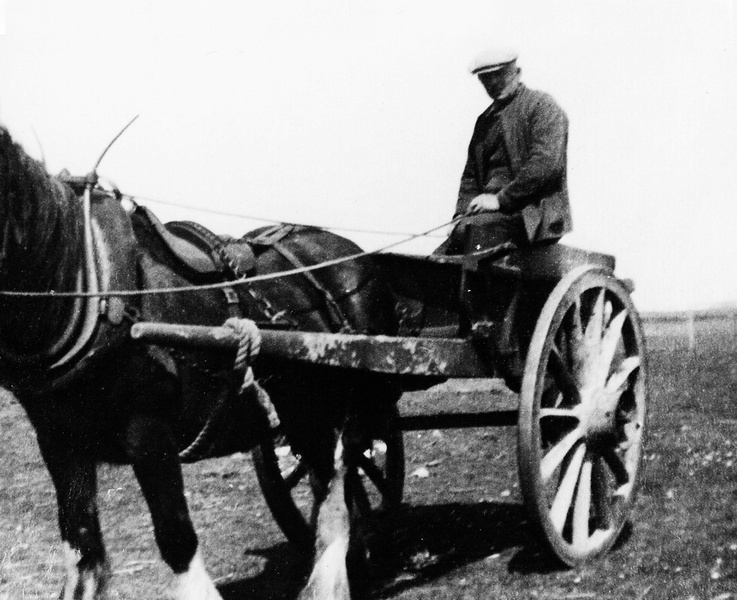 It has been at the heart of the island’s second most important industry after crofting and farming. It was discovered in the eighteenth century that soda and potash could be recovered from some seaweed species. These were essential to the soap and glass industries and linen bleaching. The seaweed was dried on stone ridges by the shore. 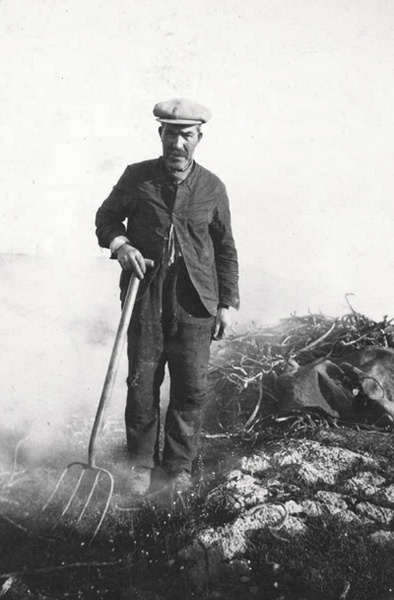 Between June and August the kelp was burnt over eight hours in U-shaped pits and then pounded into lumps with kelp irons. The whole pit was then covered in turf and the cooled ash cakes collected the next morning. These kelp pits and ridges can still be clearly seen at the north end ofTràigh Bhì by Ceann a’ Bharra and at the west end of Balevullin beach. In 1862 Edward Curtis-Stanford developed a new method of extracting iodine from kelp. The following year The North British Chemical Company appointed him as their manager on Tiree and he built a factory, known as the ‘Glassary’, in Middleton and started to process the tangle in huge iron retorts heated by coal. 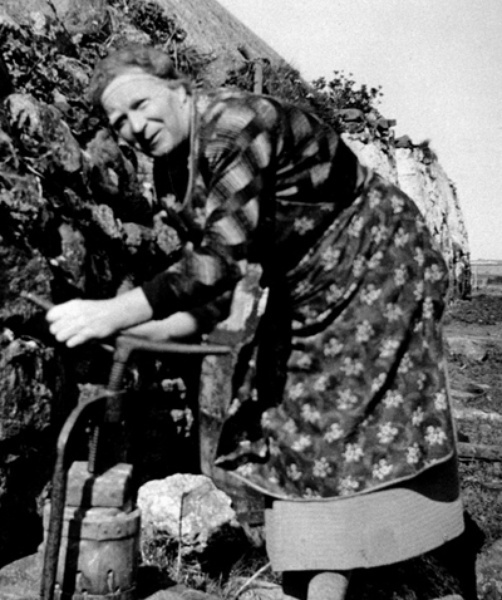 He extracted the iodine and sold the charcoal left behind as fertiliser and as deodorants for earth toilets. Gas produced during the process was used to light the buildings. Attempts to land coal at Hynish pier were initially refused by the Lighthouse Commissioners until the Duke of Argyll intervened. Stanford then complained haulage charges were excessive, despite recording that there were 600 horses and carts on the island. Life as a tangle gatherer was hard. Donald MacLean, a 65 year old cottar from Kilmoluaig, gave evidence to the 1883 Napier Commission. "They [the kelp workers] are badly treated in many a way. They very often have to get up at midnight [for the low spring tides] and go away and pick up tangle out of the surf when the sea is washing over them, and take it up out of the reach of the tide on their backs over rough ground." The factory closed in 1901 and much of the Middleton factory was knocked down to build road and runway foundations during the Second World War. 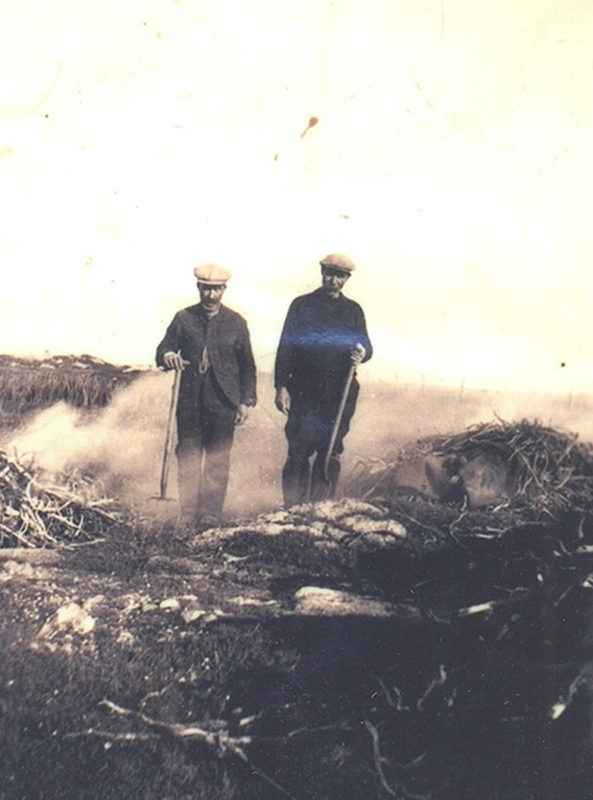 By the 1880s agitation for land was building up in Tiree and the Highlands. Members of the Napier Commission, appointed by the Government to examine the land issue, held a public meeting in one of the island’s churches on 7 August 1883. The Crofters Act of 1886 set fair rents, security of tenure, the ability to bequeath crofts to a successor and the entitlement to compensation for improvements if the crofter later gave up his croft. All this was overseen by a Crofters Commission. In their first visit to Tiree in 1887, the new Commission slashed rents on the island. There was a burst of emigration from 1848 to 1852, with the majority sailing to Montreal on board the Barlow, Charlotte, Birman, Onyx and Conrad. 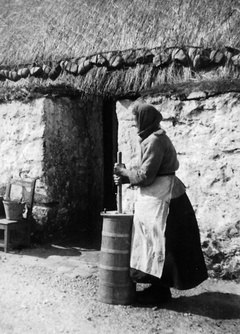 In 1849 alone, 600 people left Tiree for Canada. Many of the emigrants were offered grants but the Duke also wielded the stick and admitted himself to 40 evictions. Having said that, Tiree did not experience the brutal clearances felt by Sutherland and other parts of the Highlands. Towards the end of the 19th and the beginning of the 20th century many young men went from Tiree to Patagonia in Argentina. 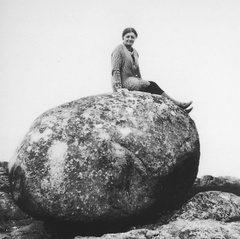 Donald Paterson from Cù’ Dhèis, Balinoe, was a stock approver in Patagonia. 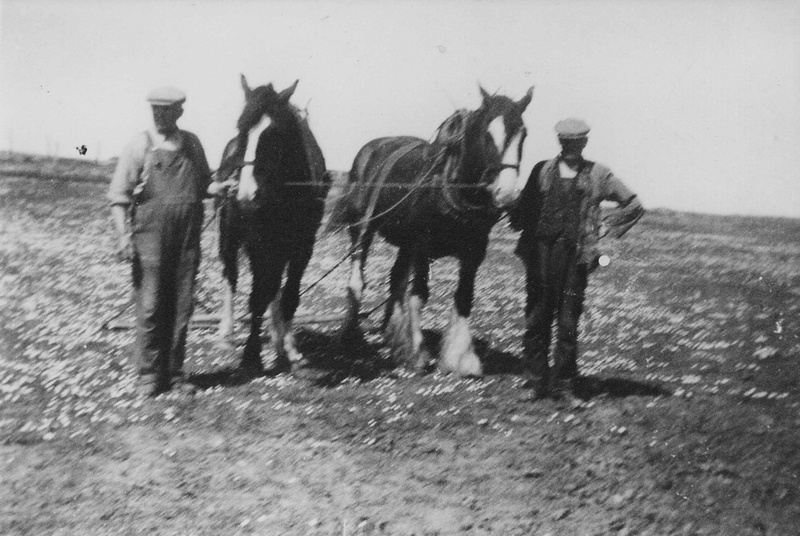 Writing to his brother in Tiree in 1885 said that he had taken up nine square miles of land, almost 6,000 acres. He urged his brother to join him, remarking that an experienced shepherd could earn six times as much in Patagonia as he could at that time in Tiree. Most of the Patagonian emigrants later returned to Tiree. 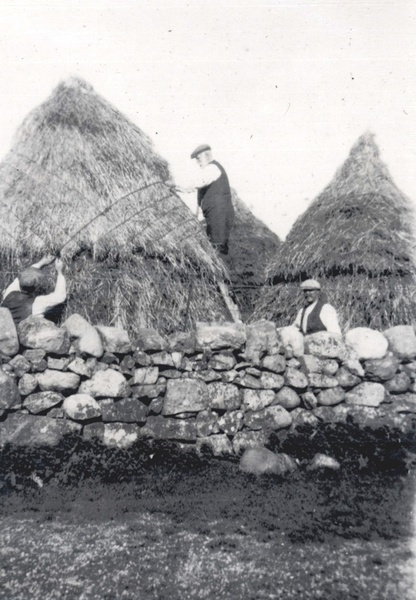 There are still some twelve traditional thatched buildings on Tiree, the highest concentration in Scotland. Their design and style of thatching is unique. With the distinctive ‘spotty’ two storey stone houses, the beauty of the architecture of Tiree is one of the features which strike the visitor. 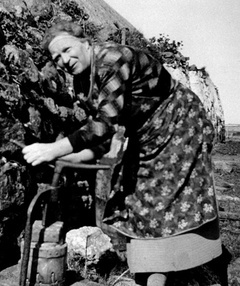 The traditional house is built from partly dressed stones laid without mortar in a double wall. Between the two skins is a layer of sand. Walls are commonly six feet thick with deep inset windows and one doorway. The roof trusses are set onto the inside wall and water runs off the roof and down between the two layers of stone. The usual material for thatching is muran (grass) which grows on the beach dunes. The muran is laid on loose, and new thatch applied over the old every two years. Traditionally it was held down with an elaborate design of rope held down with stone weights. Chicken wire or fishing nets are now used instead. Grass or flowers, and occasionally even rhubarb, grew on the tobhta(the wide wall head) and in the summer the dog would lie there. If the dog was absent sheep, and occasionally cattle, would climb up to graze. 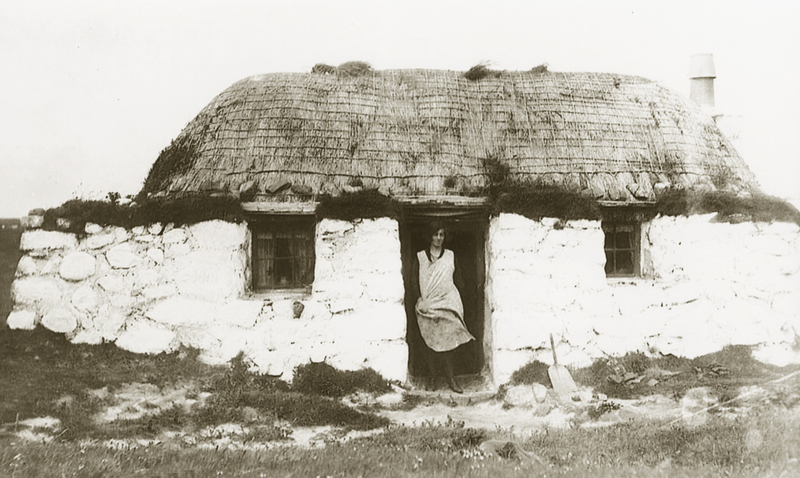 Such houses generally went out of use on Tiree by the 1950s although a small number are still in use today.